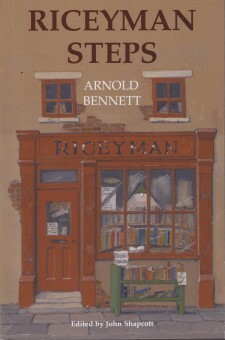 Arnold Bennett’s 1923 prize-winning novel Rieyman Steps is one of the great modernist masterpieces of the twentieth century. The seemingly simple story is about a second-hand bookseller and miser, Henry Earlforward who courts and marries the sprightly widow Violet Arb. Their devoted servant, Elsie, is finding it difficult to cope with her shell-shocked lover, Joe. This quartet plays out ‘an astounding story of love and death’ in the setting of a historically detailed evocation of Clerkenwell. Behind this bare outline is an engrossing tale of secularism manipulation, the warning of desire by the love of money, the pent-up frustration and violence of a world recovering from the Great War, and the possibility of redemption through love.